I’m sure you are seeing some pretty blatant and pretty racist differences. 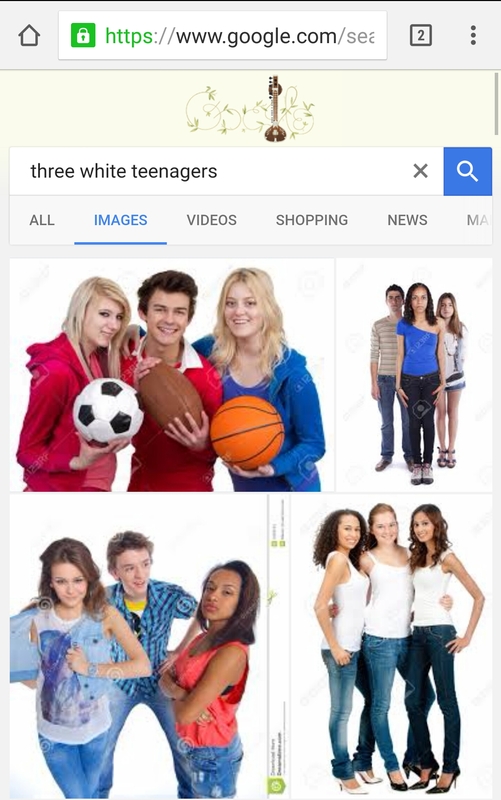 These differences aren’t unique to my computer or searching habits either. This is actually a reflection of the personal biases of thousands of web publishers. I do, we live in a super racists society. 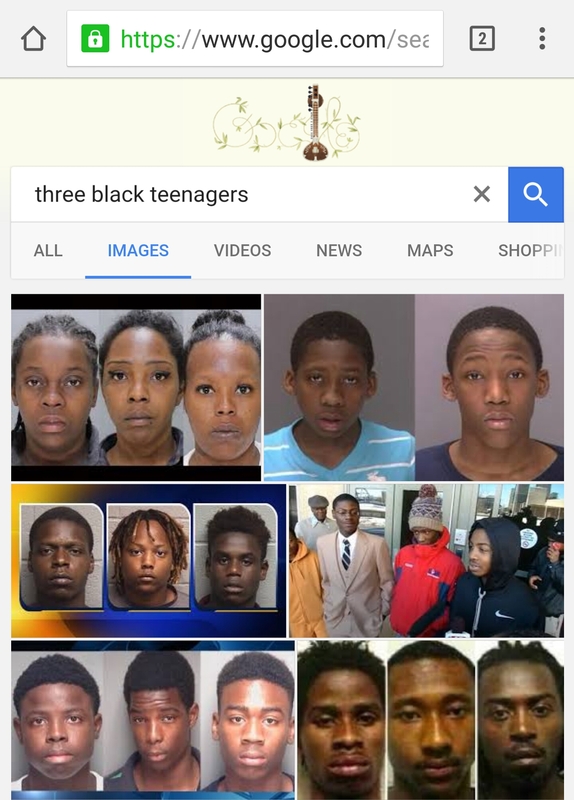 One where black women’s natural hair is considered unprofessional and three black teenagers are only talked about in the context of criminal activity. In order to really understand what I’m talking about though, you need to understand Google algorithms, web searching, and page ranks. According to the Internet research firm Netcraft, there are nearly 150,000,000 active Web sites on the Internet today [source: Netcraft]. Search engines like Google work to sift through those sites and “serve” you with the most relevant information you are looking for in relation to your search. To do this effectively and efficiently search engines use complex algorithms – which, simply put, are a series of mathematical instructions that “teach” the search engine how to find what you are looking for. Web publishes use search engine optimization in order create appropriate keywords, terms, and phrases to meet search engine page ranking requirements. Digital marketing agencies and content marketers spend a lot of time and money researching high-ranking words, terms, and phrases consumers might use in order to get their content in front of an audience. Scores are partially determined by the number of other Web pages that link to the target page. Each link is counted as a vote for the target. The logic behind this is that pages with high quality content will be linked to more often than mediocre pages. Not all votes are equal. Votes from a high-ranking Web page count more than votes from low-ranking sites. You can’t really boost one Web page’s rank by making a bunch of empty Web sites linking back to the target page. The more links a Web page sends out, the more diluted its voting power becomes. In other words, if a high-ranking page links to hundreds of other pages, each individual vote won’t count as much as it would if the page only linked to a few sites. What this means is, search results are a combination of the content web publishers produce and publish and the algorithms search engines use to find that content. How often people and other websites interact with that content determine the importance Google and other search engines ascribe to it. The typical news outlets (online or on TV) often depict people of color via negative images of black men in handcuffs and Latinos invading our borders. Time and again we see white women being praised for hairstyles and looks that black women are usually hated for. 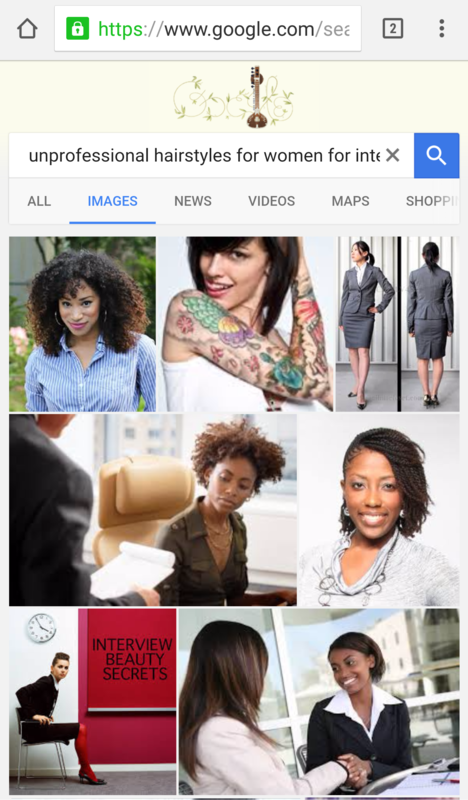 This bias plays out time and again in movies, books, television, and yes search engine results. To be honest the easiest way to see racism in America is to do a series of searches similar to the ones I displayed above. In doing so we can see systemic and personal racism being played out in real-time over and over again. The best thing we can do about it is unpack our own personal biases and call out the bias being played out in the digital media you are consuming, immediately and frequently. 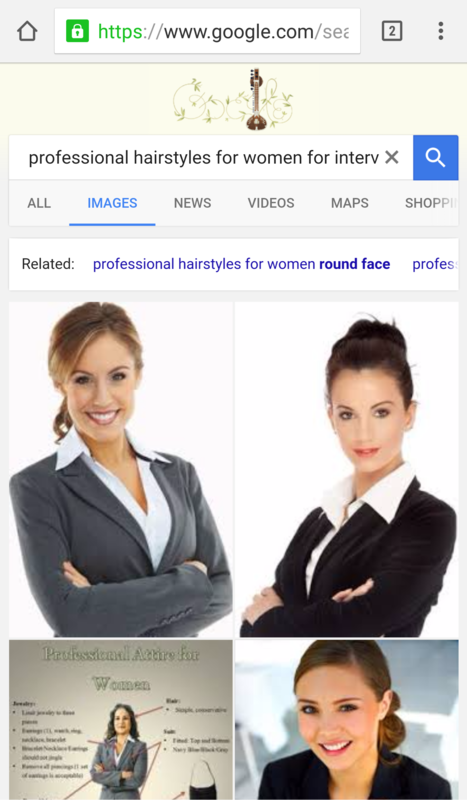 Consider it a personal mission to diversify your search results.